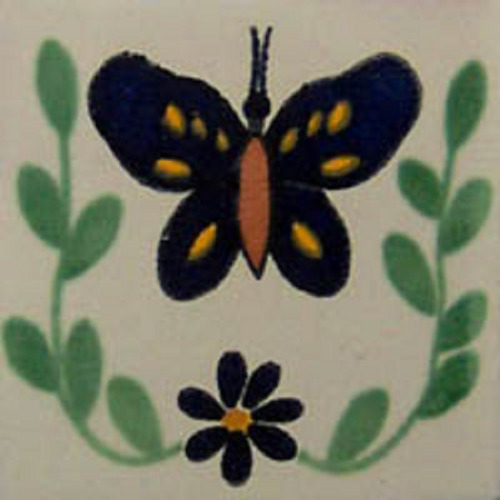 The simple but powerful design of our Mexican tile “Butterfly” will look lovely in your kitchen or bathroom wall. Bring spring vibes to any decor with this hand-made stunning tile design of cobalt blue and yellow butterfly with green leaves and petite flower over a white background. Suitable for a backsplash, kitchen counters, bathroom, shower walls and around Mexican tile sinks.